I'm trying to get fully back into the swing of things and kicking off this effort with another freebie cavern map. This map is inspired by a cave that is on my mother's old (150+ years) apple orchard. It is a cold-air cave that allegedly only has two entrances. I tried to imagine a confusing mess of small, but long, tunnels that twist & turn unexpectedly. A place you could easily get lost in.....something that allegedly has happened in the real-world inspiration. 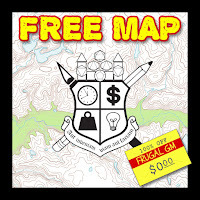 The free map is 100 dpi and 8.5" x 11". 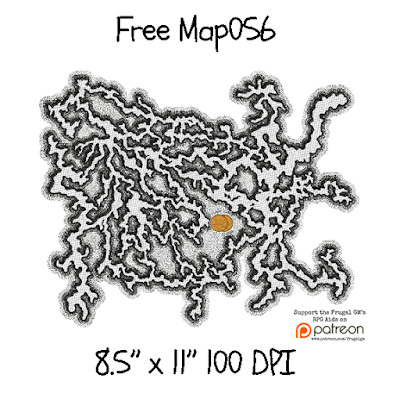 Patrons get several 300 DPI versions of this map as well as a 100 DPI map for Virtual Table Top (VTT) use. In that version the map size is 33" x 25.5", which is just the main map blown up at a lower resolution. 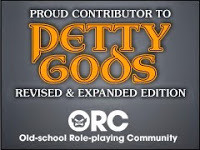 Like usual, click on the lead-in graphic above or the cover image below to get to the map.